Erie County Fair rides will be safe, fair officials said today. They were reacting to the accident Wednesday night at the Ohio State Fair that left one person dead and seven injured. 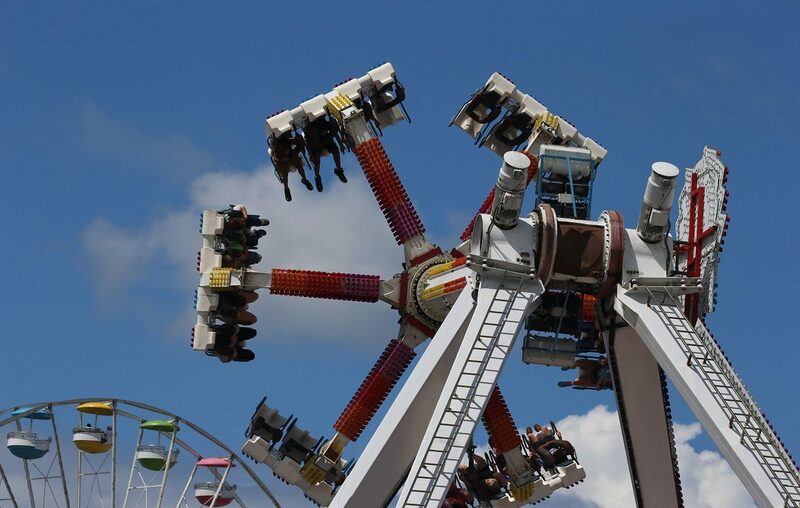 Erie County Fair officials vouched for their ride inspection protocol, explaining there are three levels of inspection involving the midway provider, New York State and an independent amusement ride safety service contracted by the Erie County Fair. "Inspection of rides takes place prior to the opening of the midway during ride setup. Daily inspections continue during the entire 12-day run of the Fair," said the organization in a statement. "The Erie County Agricultural Society’s amusement ride safety program is designed to ensure that all rides in operation during the Erie County Fair meet or exceed stringent New York State and ride manufacturer safety and maintenance requirements." The Erie County Fair begins Aug. 9. The Ohio State Fair has been shut down after several passengers were ejected at a high speed from a ride, medical officials in Ohio said, according to the Washington Post and Bloomberg.